Do you ever feel like your days blend into each other? Does your mind chatter on even when you wish it would relax? Do you just want to be for a bit? 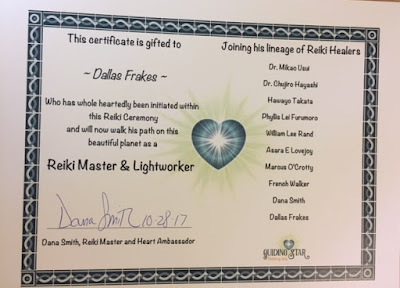 "If an inchworm spent his time worrying, he wouldn't move an inch"
I love the sing bowls but in Reiki I know this is what I was meant to do. and every cure has a musical solution." Last night my left eye was so soar. It had been kind of bothering me all day but by night time it was burning and painful. I tried rinsing and resting it but it just seemed to get worse as the evening wore on. I was about to go to the doctor but first asked Dallas if he would give me a Reiki treatment. Dallas put his hands over and around my eye. I was upset and stressed when he started. Within minutes I relaxed. I'm not sure how long his treated was but when he was done my pain and eye irritation had dropped from a 8 to about a 2. I slept like a log and woke up feeling sooooo much better. 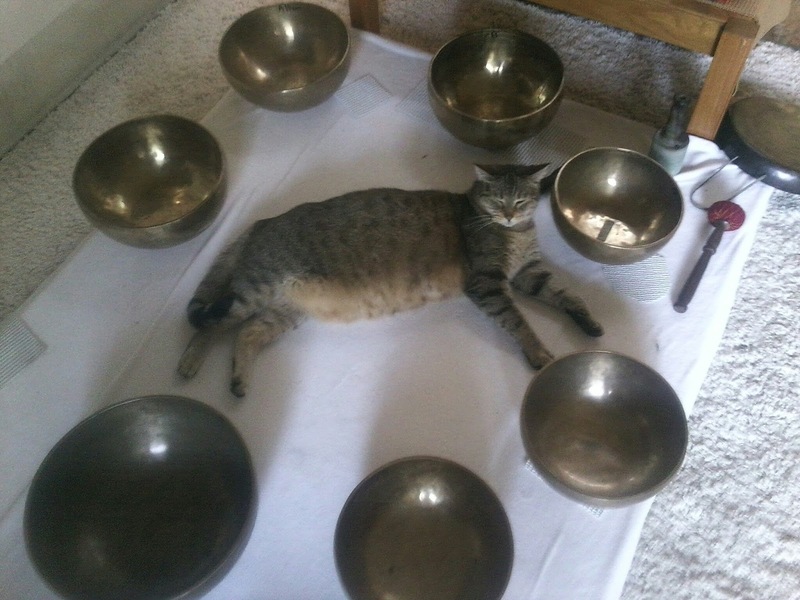 What does a singing bowl or sound bath treatment do? 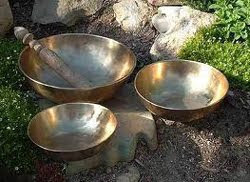 "Sound and vibration can be used to re-tune us to health and one of the most powerful modalities for this is the use of Tibetan singing bowls. When there is a deep relaxation through soothing, resonant sound, the body is affected on a cellular level, opening up the flow of energy to move us back toward vibration alignment and with health. 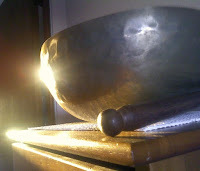 Sound can help us shift our energy frequency from lower to higher removing the lower frequencies of emotion such as fear, anger and resentment." "Healing through sound and vibration has been known to reduce stress, improve, concentration, reduce blood pressure, stimulate life force flow in the body, improve immunity, harmonize the chakras with the energy field, heighten intuition and perception, synchronize the brain hemispheres, remove mental and emotional negativity and enhance creativity."